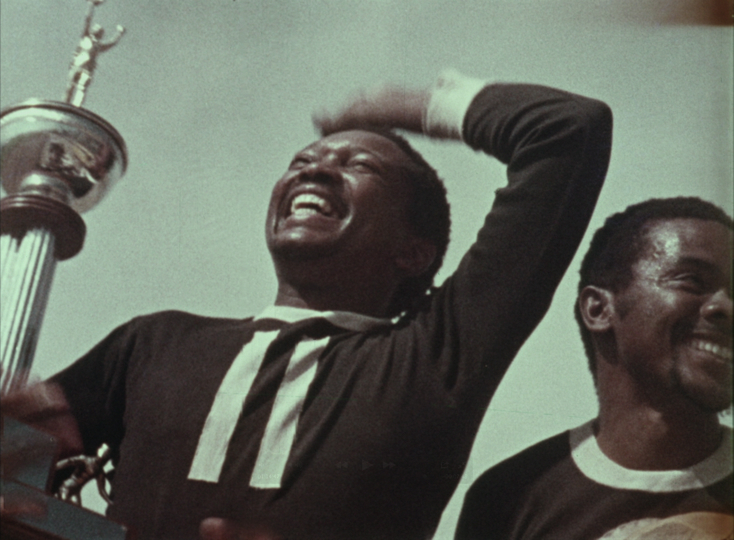 Made in 1971, this action film directed by Louis de Wit and produced by Tonie vd Merwe was shot on 16mm in Johannesburg. Banned in South Africa by the government when it originally came out, it stars Ken Gampu, Abigail Kubeka, Jimmy Sabie and Joe Lopez. In the criminal underworld of soccer, one man will have to save the championship! 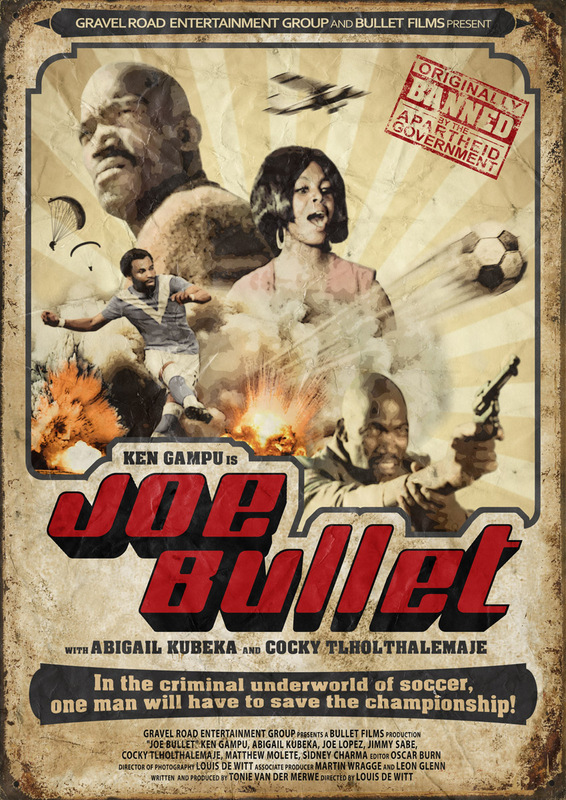 When local soccer team The Eagles fall prey to a series of onslaughts from a mysterious gangster only a week before the championship final, the team turns to the one man that can help save their chances at victory – Joe Bullet (Ken Gampu). Joe will have to battle against villainous henchmen, escape booby-trap bombs and bring his martial arts expertise to the fore in order to survive an attack from a deadly assassin. In the end he will have to infiltrate the mysterious gangster’s hide-out in a dangerous cat-and-mouse rescue mission to save not only The Eagles’ two kidnapped star players, but that of his beautiful love interest, Beauty (Abigail Kubeka). The odds will be stacked against him, but he’s the man that fights crime, the man that no one can tie down! Joe Bullet!